A couple of days ago, the first major update for Windows 10 was officially released. Unfortunately, the update has introduced enough changes to break compatibility with 7+ Taskbar Tweaker, as many of you have noticed. I can’t tell when a compatible version of 7+ Taskbar Tweaker will be ready, but I hope to make an alpha version available in a week or two. Update: The new version is now officially supported. Get 7+ Taskbar Tweaker here. Posted in Software, Updates by RaMMicHaeL at November 17th, 2015. I’m still on W7. I was not convinced to move to W10. I am having trouble with the first major update, which turns out is a major piece of garbage. My taskbar is broken. I can open Firefox and other programs, but I cannot access the Windows button in the far left. 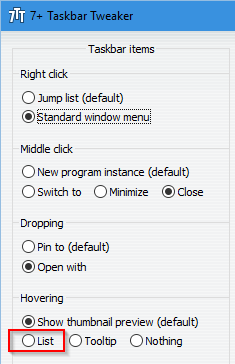 I can right click, but it won’t give me any tiles or all programs or anything. I really hate Windows 10. Should have stayed with H8.1. That sucked too, but this OS takes the cake for the worst ever. if taskbar contains the Task View button then Hide the Start Button in fact hides the Task View button; if Task View is absent the Hide the Start Button hides dose nothing. 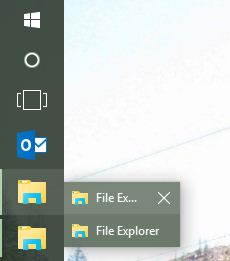 Some programs on my task bar do not combine instance icons with the pinned icon – notably Microsoft’s Process Explorer. But this may have been ever thus. FWIW – I find it very difficult to find what I want in this blog. The error is there is a pop up window with the message: 7+ Taskbar Tweaker: Could not load library (1004). I find the Taskbar Tweaker very helpful. It would be great if this can be fixed! Please make sure that you’re using the latest version of the tweaker, 5.1. Thanks RaMMicHaeL, great work as always. The only ‘issue’ I’ve noticed so far is that multiple Edge browser windows do not show the edge icon in the taskbar anymore. If I’re to manually change the AppID of exes, could you pls teach me how to do it? You might want to try out win7appid. Thanks a lot for these very useful apps! Stumbled over your page looking for a way to change W10 taskbar color and ended up downloading a bunch of em’. Good stuff. I couldn’t reproduce it, it works for me. Perhaps you have some other program which interferes with explorer and/or the tweaker. I don’t know what this registry modification does. If you can, please try disabling it and let me know whether it fixes the issue. The latest Windows Insider build breaks 7+TT again. Serves me right for being an unpaid beta tester, I suppose. Just got Windows 10 build 11099, and I really miss my scrollwheel activated volume control! Launching 7+TT results in Explorer.exe crashing and restarting, with a message from 7+TT stating “Could not load library (5)”. If you need further diagnostic information, let me know. Yeah, that’s what it does on mine, too. Build 110099 as well. I had the same problem when i updated Windows 7. I downloaded v5.1 and that fixed it for me. I love this application, but I have one problem which has been present for years. When I use multiple Chrome windows, the icon of some of them jump to the end of the list from time to time. I’m not sure why this is, but it’s very annoying. Does it happen only when the tweaker is running? If you find a way to reproduce the issue, let me know. Is it possible to reduce the taskbar width beyond windows set minimums if it’s in a vertical position in the latest windows 10 build? If not could you tell me what key to edit in the registry? Try the no_width_limit advanced option. See the help file for more details. I have a suggestion! When I choose List for the hovering option, the X obscures the end of the title for the window I am hovering over. I wonder if you might have the capability to extend the width of the list popup so that this doesn’t happen. 7+ Taskbar Tweaker does another neat thing in Win10 that I just found. Not only does it allow changing from thumbnails to list view, it gives white-text-on-blue-background list views! I’ve been looking for ages how to do that. I don’t know of any other ways to get that. If RaMMicHaeL would like to show what registry setting that does this, I would be a very happy camper! BTW, it looks even better if you disable taskbar, start menu and action center transparency in Settings | Personalization | Color (Make start menu, taskbar and Action Center transparent). The tweaker doesn’t affect the font color. The list is a Windows feature, and it can also be enabled by using a registry tweak. More information here. P.S. 7+ Taskbar Tweaker doesn’t use registry tweaks. See the FAQ for more details. Well, this is embarrassing. I’ve just reinstalled 7+, and I clean forgot how I set 7+ to show colored list view (white text on blue background). I would appreciate it if you could please tell me what 7+ setting(s) I used to enable this feature. I already had those settings enabled. Instead of the default list view (black text on white background), I want to show list view with white text on a blue background. Since I had that before having to reinstall Win10 and 7+, I know it’s possible. I tried playing around with themes, but that didn’t work either. By George, I’ve found it! To enable colored taskbar list view (white text on blue background, in my system), use Taskbar Thumbnail Tuner from WinAero (http://winaero.com/download.php?view.27), but don’t disable thumbnails. Is there any way to send you a screenshot of the result? You can upload the screenshot somewhere (e.g. here), and post the link here in the comments. I uploaded the files to Imgur, but how do I create a link to post here? BTW, it wouldn’t let me upload either TXT or DOCX files. 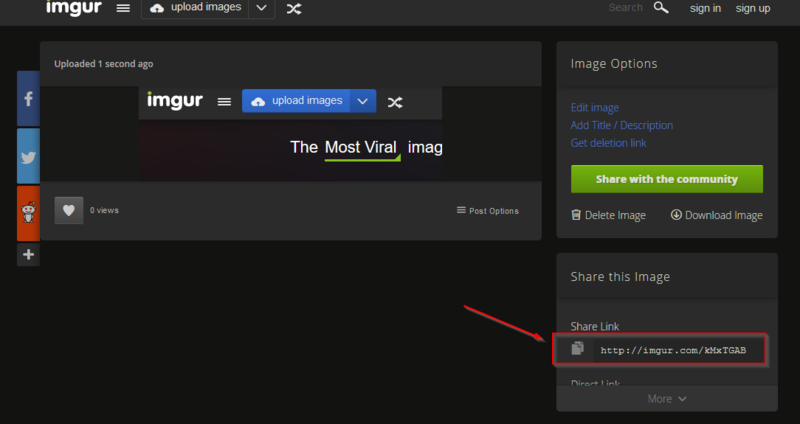 As for non-image files, you can use a service such as MediaFire. 7+TT is not working since Jan 2016 Windows 10 build 11099, displaying error on startup: Could not load library (5). you could include in 7 Taskbar, a function to see the calender week numer – in the same row as the Time . “Could not load library (107)” on latest W10 insider preview. Insider builds are not supported by the tweaker. You’ll have to implement changes to fix this once it’s released to the masses anyway. Why wait until it stops working for everyone before fixing it? Because the fixes that should be applied to build X are not the same fixes that should be applied to the release build. Adding support only for the release build will allow me to avoid doing the same work twice. I’m now getting the “Could not load library (107)” error on the public build of Windows 10. Please try the beta version. Has anyone noticed that in Win/10 if you switch between virtual desktops that the order of tasks gets scrambled. Very annoying. Actually, Virtuoz does not support Windows 10. Only Windows 7 and 8 are supported. I assume that it wouldn’t be difficult to fix, but given the built-in functionality of virtual desktops in Windows 10, I’d rather implement an order-preserving tweak. I’d like to look at it one day, but currently, I don’t have the time for it. How to leave a subject in this forum ? I love this tool, but it does not work on windows 10 version 1607 (build 14393.3). Before this version it worked very well. So, how can i do for using again the 7+ Taskbat Tweaker ? Hi, I am using 7+ Taskbar Tweaker… How can I tell (for sure) which version it is? The download site says it is 5.1. I am using it on a Windows 10 Pro Built 1511. It seems to do some things, so I can enable the seconds on the tray clock. It does not allow to do what I wanted… Drag within/between groups using right mouse button. So I have some ten instances of Firefox, grouped together. Luckily I don’t see very small thumbnail windows but I see a list. I edited the registry to contain an entry NumThumbnails and set it to 6, so I will get the list mode whenever there are more than 6 instances. So how do I move instances up or down the list? Try the option: “Thumbnails” -> “Drag to reorder”. Then you’ll be able to reorder the items by using the left mouse button. The option that you were trying to use, “Drag within/between groups using right mouse button”, applies to the buttons themselves, not to the thumbnail/list popup. Thanks, great, this works fine!